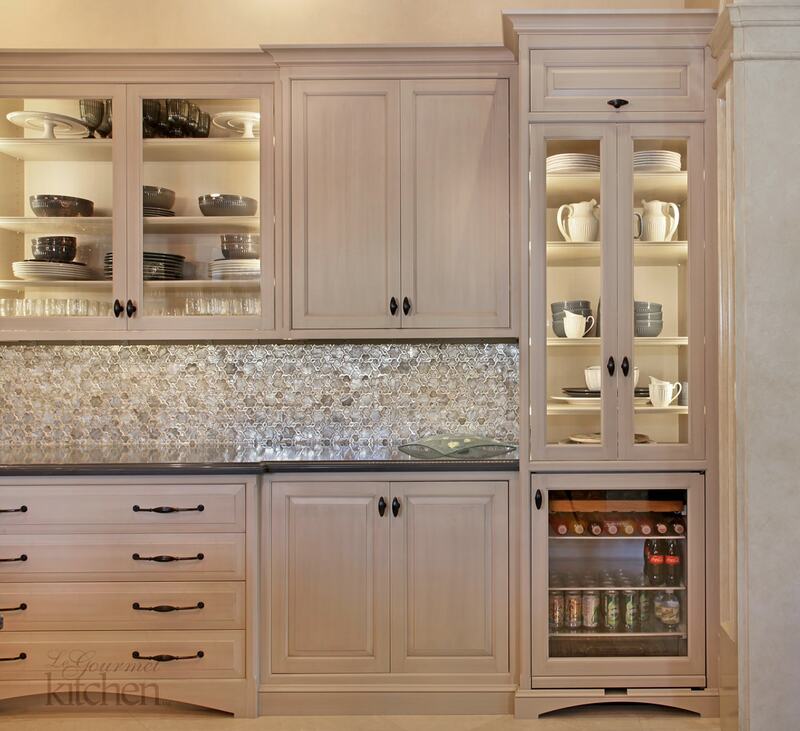 Mission Viejo Contemporary Kitchen | Le Gourmet Kitchen Ltd. 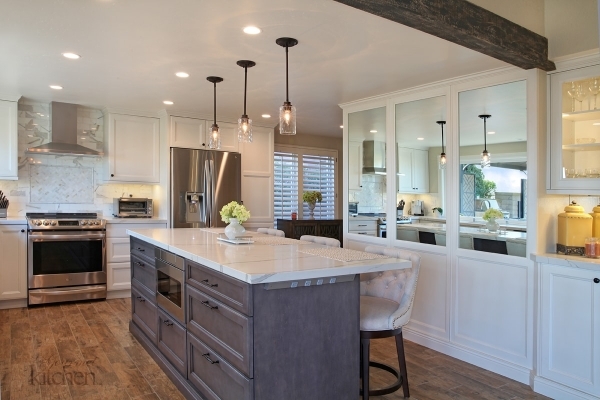 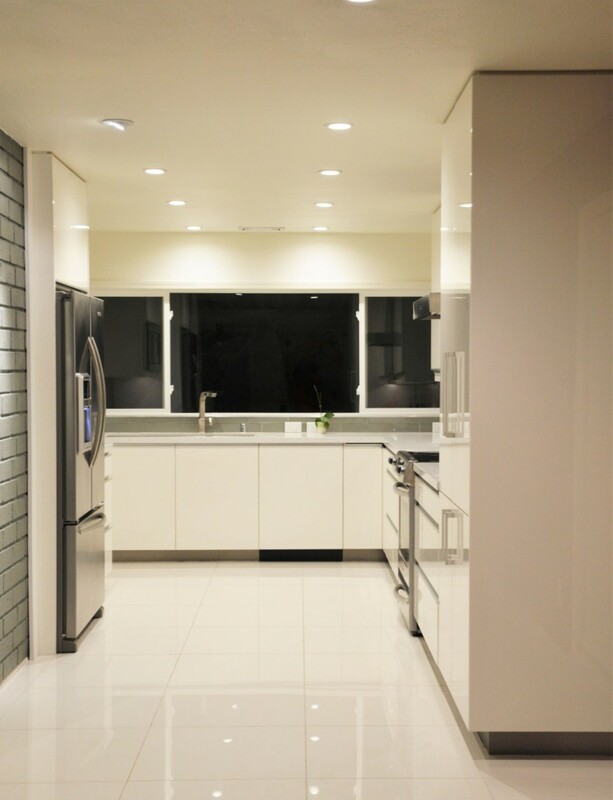 Designed by Bruce Colucci in Mission Viejo, this contemporary kitchen has sleek lines to give it a crisp, clean feel. 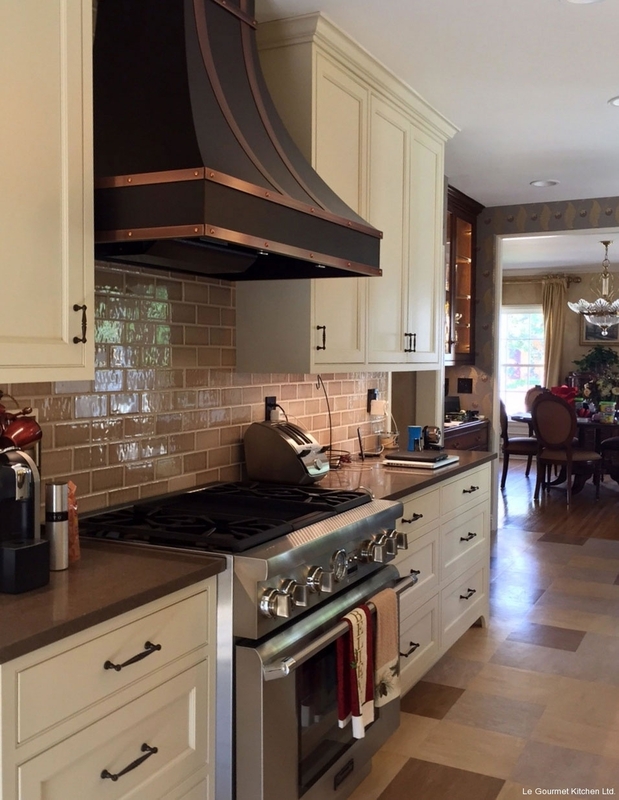 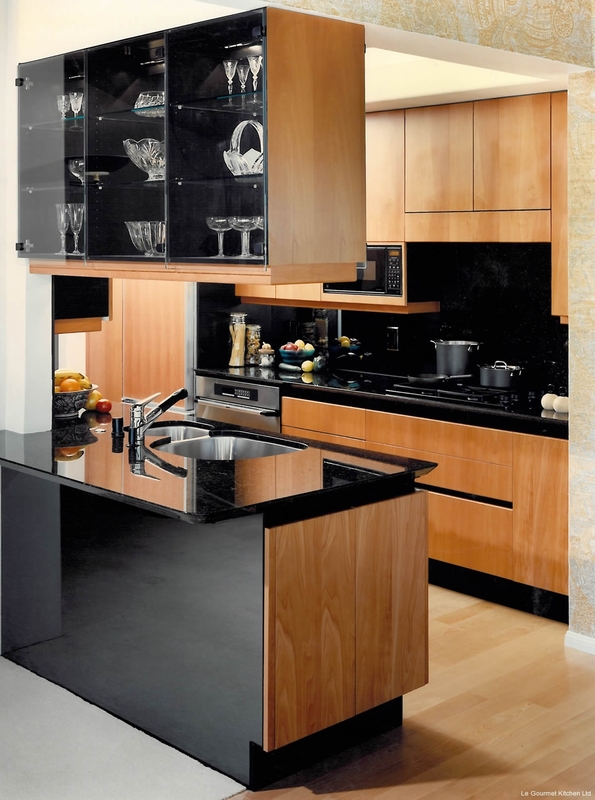 The designer used white high gloss Wood-Mode cabinetry paired with stainless steel appliances to continue this style. 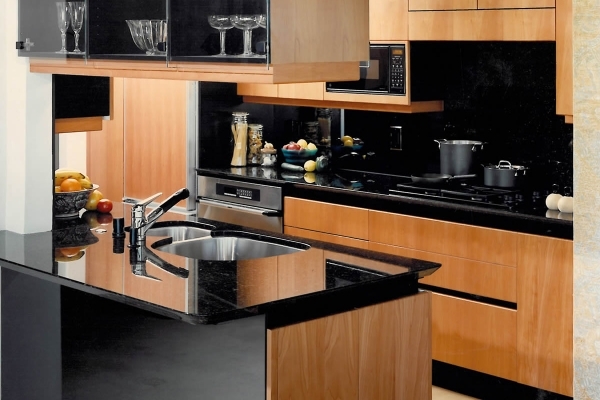 Notice how uniquely sleek this kitchen looks as there is no hardware. 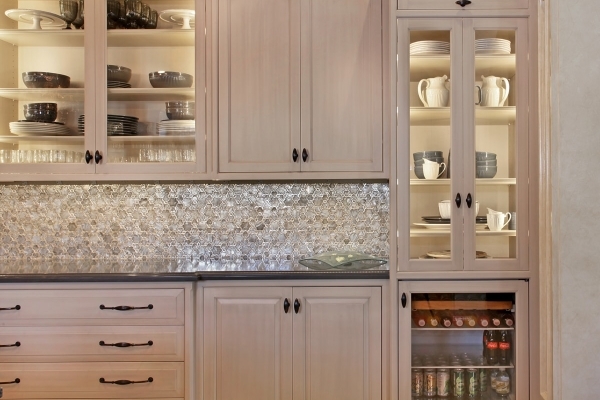 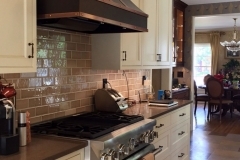 Behind the quartz counter top we used a glass subway tile back splash to keep the open feel. 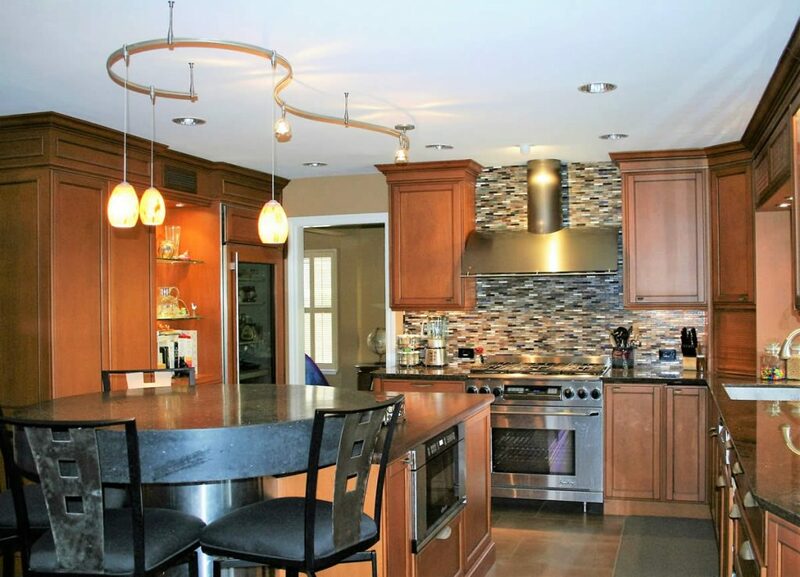 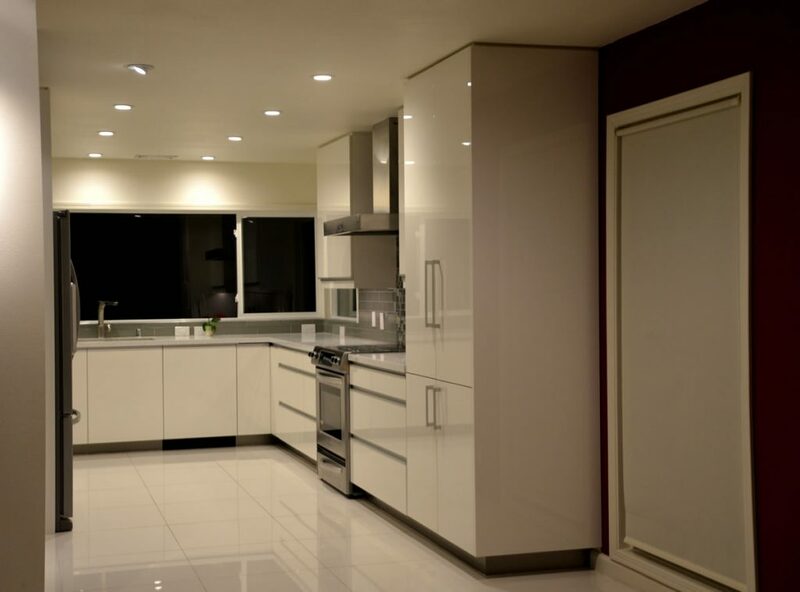 The LED lighting for this kitchen completed the look the client wanted.